Up, up and away! 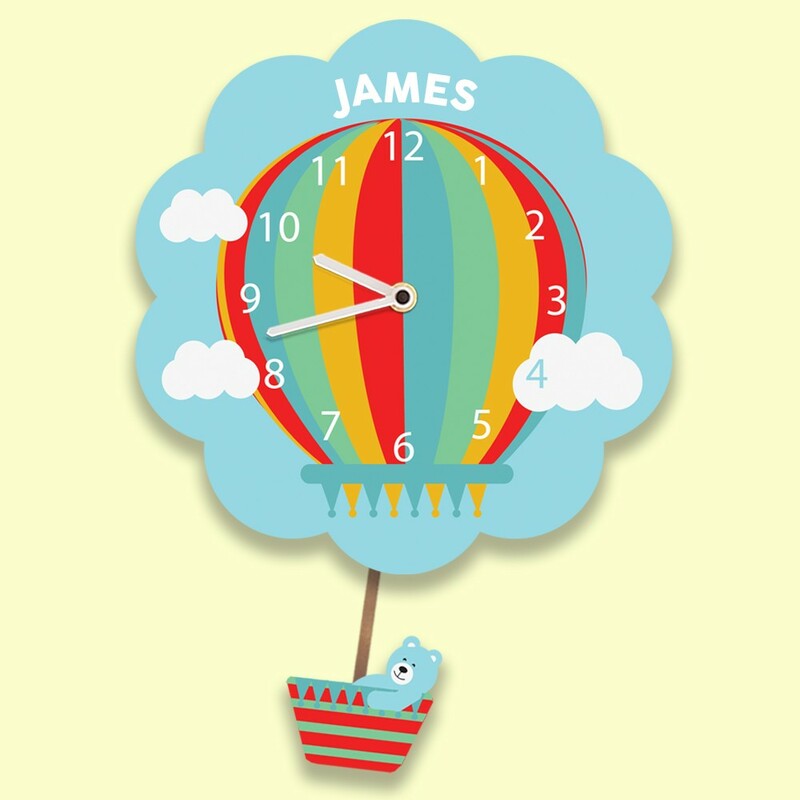 Our unique little clock makes learning fun for any child, and they will love to see their name personalised on the clock. The silent tick mechanism makes it perfect for a bedroom or nursery. 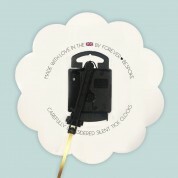 Each includes a novelty swinging pendulum, adding a special finish to each clock. Our cute little blue bear floats along the clouds in a colourful hot air balloon. The child's name is curved in the sky – there is even room for two first names if the children share a room. The bear swings back and forth on a pendulum. The clock is designed and made in the UK and features a quality German Quartz movement which compliments the quality of the British design and manufacture. Our silent clock makes the perfect gift for any child or baby's special occasion – from a first birthday to a Christening, Dedication or Christmas time. Bon Voyage!